Email list are like milk -- they’re perishable. In fact, rotten email lists can leave you a lot worse than just queasy. Bad email lists can make it nearly impossible for your messages to get into your prospects’ inboxes. 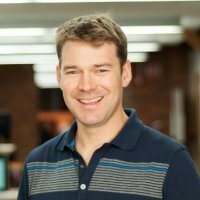 Return Path reports that 83% of the time an email address is not delivered to an inbox, the sender's reputation (defined by the sender score ) is to blame. And what makes a bad sender score? Sending emails that get marked as spam, which is exactly what happens when you send to bad lists. 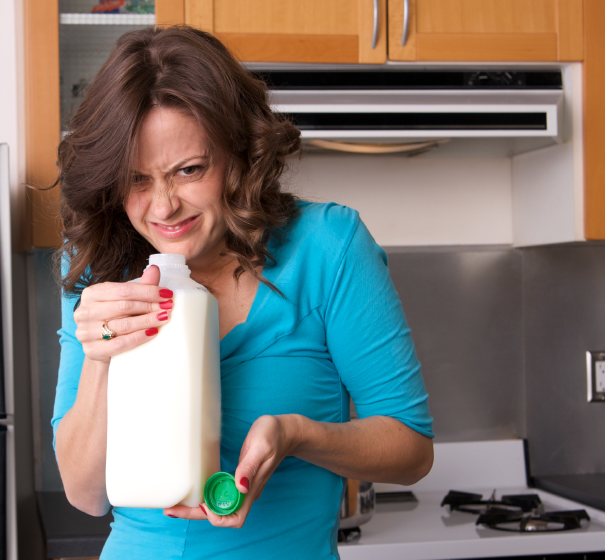 It’s pretty easy to identify bad milk; but what about bad email lists? Turns out they're not so tough to spot either. Generally speaking, a bad email list is one where many of the recipients are not expecting and do not want your email. Of course, that's pretty general, so how do you get more specific? At HubSpot, we ask a series of five questions to every customer who uploads a list to our email tool . The questions, listed below, constitute our basic email list sniff test. 1) Does everybody on this list have a prior relationship with your business? Yes? Move on to the next question. No? Get rid of the list -- or at least the people you don't have a relationship with. Pronto. If the person doesn’t have a prior relationship with your business, they’re not going to be expecting your email. Not only is emailing them just spammy, but it will also hurt you. Without a prior relationship, many of the recipients will mark your message as spam. Those spam designations will then turn around and hurt the sender score of the servers you send from, which will make it harder for you to get your messages delivered. 2) Do you have an unsubscribe list? No? Do not pass go; do not send to list. Go back to the drawing board, and build a new list. Every list should be accompanied by an unsubscribe list. Here’s why: If you have a prior email relationship with the people on your list, you will inevitably have people who have unsubscribed from said list. When you load that list into a system like HubSpot, you need to load both the master list and the unsubscribe (AKA suppression) list. If you don’t, you’re going to end up emailing people who have already unsubscribed. That’s against the law , and, since people on the unsubscribe list are likely to mark your email as spam, it will also reduce your ability to send successful emails. 3) Did you purchase, rent, or lease the list from a third party? Yes? Agh! No dice. We can’t let you send to that list from HubSpot -- and it’s unlikely you’ll have success sending to the list from any other quality, reputable marketing software solution. Why? It’s pretty simple: The people on that list do not have a prior business relationship with you. At best, they gave their address to somebody else and are expecting email from them , not you. At worst, their address was harvested from some sort of directory, and they’re not expecting any type of email. Any sending you do to this list will get flagged for spam and ultimately reduce your future conversion rates. 4) Will the people on the list be expecting (not surprised by) your email? Yes? Awesome. One more question. 5) Have you emailed these contacts within the last 12 months? Yes? You’re good to go. Your list is smelling great. Create some awesome emails with super useful content, and you’ll have yourself some amazing conversion rates. No? Sorry. Twelve months is a long time. Chances are, a big chunk of your list already forgot about you and will be surprised by your message (remember question #4?). That means they'll mark it as spam, which means your delivery rates will drop. Here at HubSpot, we build our list with offers like content and tools, including webinars , ebooks , and Marketing Grader . By building these lists internally, we’ve made our email marketing program far more productive that it would have been if we had purchased lists. So how do you keep your list smelling good? Good list hygiene . On a general level, that means keeping an ongoing email relationship with your list so recipients are always expecting your messages. More specifically, that means sending to them at a predictable cadence , making unsubscribes easy, maintaining reliable unsubscribe lists and, perhaps most importantly, continuing to grow your list organically. So, what do you think? Do your email lists pass the sniff test? And are we missing anything on our sniff test?